Is there a drought in the Tri-State? July is notorious for being hot and humid and it's generally when we can slow down on yard work because grass doesn't grow as rapidly. But we've only seen 0.09" of rain so far this month, leaving the Tri-State more than an inch below normal. Our last soaking rain was back on June 26th but since then, it's been relatively dry with barely enough rain to wet the pavement on a few occasions. But is this something we should be alarmed about? Are we entering drought conditions? When you analyze rainfall numbers and assess drought, you have to look at the year so far. We are actually really close to "near normal" precipitation through the 13th of July. 24.57" of rain has been recorded so far out at CVG, which represents Cincinnati's official climate data. This is 0.51" above normal, so near average. But all months haven't been even. February stands out as one of the wettest so far this year with nearly 8 inches of rain. That was 5 inches above normal. So even with a few drier months here and there, you still have an overall surplus from February. Do we need to worry about drought? 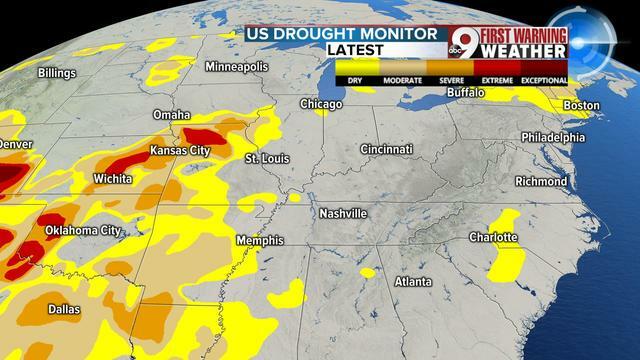 The US Drought Monitor watches for drought conditions across the nation and you can see the latest assessment below. We are not even considered in "abnormally dry" conditions, which is good when you think about those who rely on a steady stream of moisture. 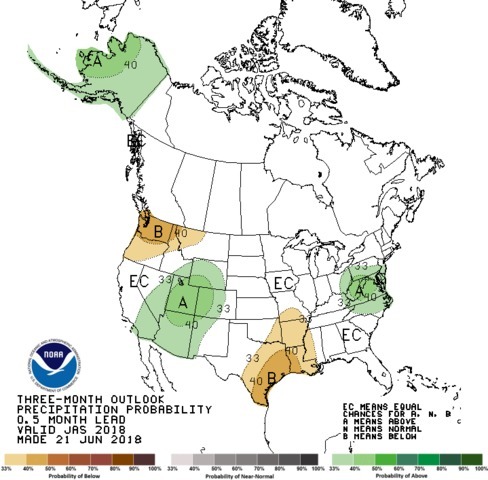 Looking ahead at the rest of summer and early fall, we should see near normal amounts of rainfall each month, which means drought conditions shouldn't develop. What we are experiencing is just a lull in rain due to severe ridges of high pressure. But with time, new rain systems will develop in the Ohio Valley. Specifically, widely scattered rain chances will be back for sure on Monday.